The Motorola DS3400 Series uses digital imaging technology to accurately capture direct part marks (DPM), images and 1D and 2D bar codes. For images and bar codes, the DS3408-SF is ideal. If you also need to capture high-density 2D matrix codes, choose the DS3408-HD. The DS3407-HD not only reads bar codes, it also captures and transfers images. For direct part marks, select the DS3407-DP. All scanners in this series offer omni-directional scanning and a rugged design sealed to IP65 standards, ensuring reliability in harsh environments. 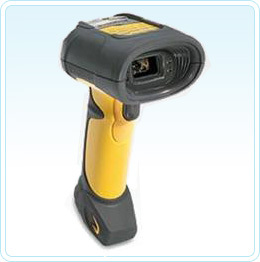 In Australia the most popular model is the DS-3408 with USB interface to read both 1D and 2D barcodes without the need to line the barcode up. Increases productivity and lowers costs by handling all industry-standard bar codes. Enhances quality processes and improves lifetime product traceability. Eliminates need to line up the bar code with the scan line, increasing speed. Withstands multiple 6.5-ft (2-m) drops to concrete. Protects against water and dust for reliable performance in harsh industrial conditions. Reduces costs associated with operating and maintaining multiple devices.